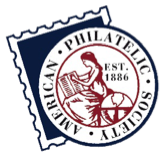 For the fourth time, the American First Day Cover Society's website, AFDCS.org, has received a Gold award in the American Philatelic Society's Chapter and Affiliates Web Awards competition. 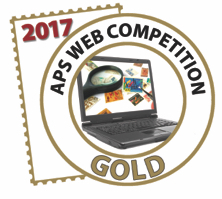 ￼The AFDCS website previously won Gold awards in 2012, 2013 and 2014. The site was not entered in competition in 2015 and 2016. The AFDCS webmaster is Todd Ronnei, a paralegal in Minnesota. He has been webmaster since 2009. From 2009 to 2016 he was also a member of the Board of Directors, serving as its chairman for five years. The website includes a "News Blog” with the latest news about the AFDCS; digital downloads, including the latest issues of the Society journal First Days; membership applications and renewals; a "marketplace" where first day cover collectors can purchase both FDCs and AFDCS publications; the results of the annual Cachet Contest; and basic information about FDC collecting. "Congratulations and thanks to Todd for his excellent work,” said AFDCS President Lloyd de Vries. De Vries was a judge for the 2017 competition, but he recused himself from judging the AFDCS site.